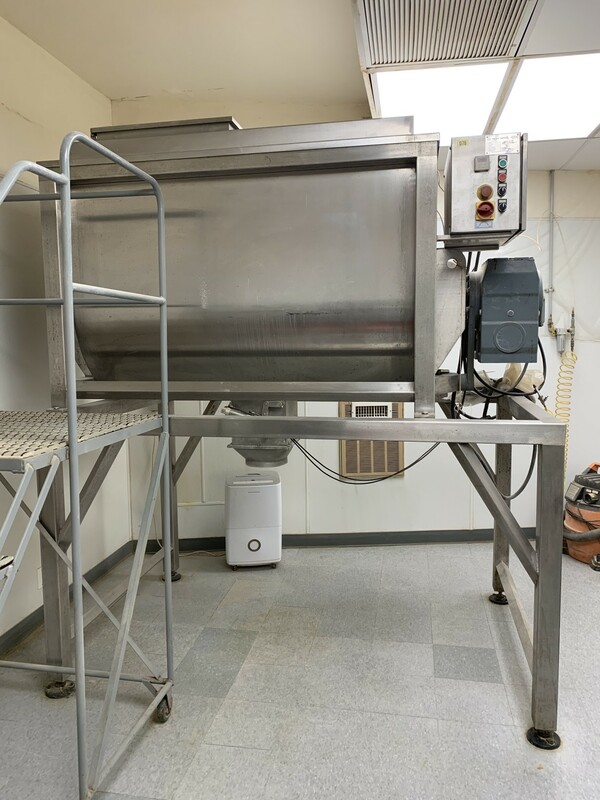 Used 35 Cubic Foot Working Capacity Stainless Steel Double Ribbon Blender with Liquid Spray System. MFG 2014 Features: 304 Stainless Steel Construction, pneumatic flap discharge, safety sensors, control panel with timer. Cap: 1000L. Electrics: Upgraded 20 HP Motor, 220V/3PH/60 HZ, 11Kw. Delivery Time: approx 1-2 weeks.